Smartphones have become an integral part of a person’s life. Whether it is a boon or a curse is another topic but surely it has made the life much easier. Day to day information of a person is stored in their phone; hence, one just cannot afford to lose their phone. However, the solution of a lost phone scenario has long been solved by the use of phone tracking system. But what if the phone is switched off? Well, there’s a solution for this problem too, but before getting on to the solution, let us take a short passage onto knowing what is phone tracking and how it works. What is phone tracking system? In layman’s term, phone tracking is, knowing your phones exact location. This is done by phone tracking system, which helps the user to know the location of the phone. The device emits a signal which is captured by the nearest mobile tower, which later is stored in company’s database. This is the basic and common process of tracking a phone. But for this, a phone needs to be turned on so that it is able to emit radio signals. Apart from this cell phones can now be tracked with the help of GPS (Global Positioning System) too, which requires an installation of third-party apps in the device. But all this technique requires the phone to be on, what about the phone that is switched off? Let’s take a look at some possible ways. Tracking a switched off phone becomes a comparatively difficult task, as the phone will not be able to emit any signals. But there are few ways in which you can certainly get close to the location of your phone. One can analyze or know the previous location of their phone by calling their service providers or by using Google services (if the device is an android one). In case of an android phone, you can use find my device service, where you’ll get the option to know the last location of your phone. You can also use Google dashboard, where you’ll need to log in with your email-id that is also registered on the lost device; Google dashboard displays entire information about your device, right from the battery to the downloaded apps on your device, it will then automatically show the last location of your device. Unlike Android devices, iPhone has comparatively more secure options to retrieve your iPhone that is dead. In order to do so, all you need to do is go to > settings > iCloud > find my device > turn on the toggle, and also turn on the toggle of send my last location. Now your iPhone has activated the services. 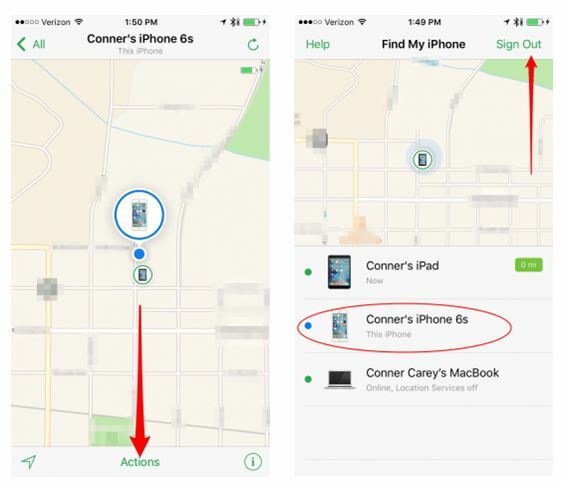 Now once you have activated the service, you can find the location of your phone on your friend’s iPhone or computer. 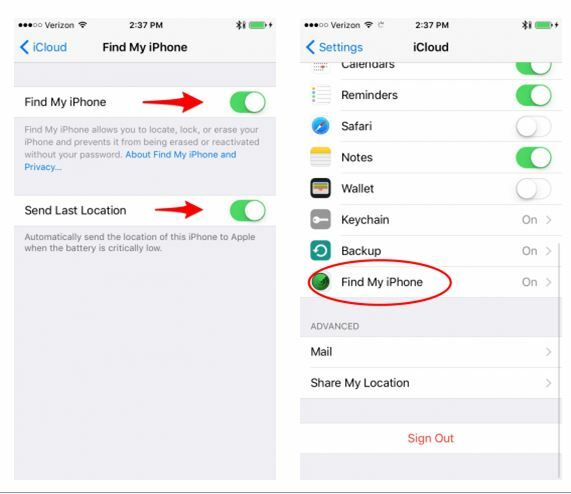 Open find my iPhone application on your friend’s iPhone > sign in with your Apple ID and passcode > you’ll be provided with the list of devices that you have > select the device that is lost > the app will show the last location of your iPhone on a map. You can do the same on your laptop or a desktop. All you need to do is, enter iCloud.com in your browser > sign in with your Apple ID and passcode > click on to find my iPhone app > select the lost device > the app will display the last location of your iPhone on the map. Phones can be tracked through websites. All you have to do is enter the number of your phone and the website will automatically show the last location of your phone when it was on. It is easy to use and free of cost. They are user-friendly and do not require any registration or login. There are a number of websites that provide exact location and address of your phone. mSPY: From all the available tracking apps, mSPY seems to be at the top amongst all of them. It works on all Android and iOS devices. The tech support for installation is user- friendly. After installation, it starts working immediately and keeps a track on your phone. Once switched off, the app will provide the user of the last location of the device. SpyBubble: SpyBubble is another tracking app which offers some distinct features which are compatible with many different smartphone devices. The app can monitor os, locations effectively. It will provide the user with the last location of their device before getting switched off. MOBILE SPY: Mobile spy is available for iOS, Android as well as Blackberry devices. Mobile spy like other tracking apps is useful for monitoring purposes. It will track your phone effectively, giving accurate results. Like the previous one, the application displays the last location of your device. You can also take help from your service providers to get the last location of yours. They then, with the help of IMEI (International Mobile Equipment Identity) number of your device, will track down the last location of your phone. IMEI is a unique number assigned to each and every, it can be found behind the battery. The number when connected to a GSM network gets stored in an online data, which helps the service provider company to track the lost phone. This method is even used by the police officers to track phone, it is the last resort that will help you find the location of your phone. It is practically not possible to track a switched off phone, however, by following the above steps one can get close to the location of their phone. On the other hand, android and iOS have now given the option for their user to track their lost phone, providing a great relief to them. Also, there are a number of third party applications and websites for the user to locate their phone successfully. In short, if your lost phone is switched off, by going through any means, you can only reach to the last location of your phone.